This topic contains 44 replies, has 21 voices, and was last updated by Boschmanbrian 2 years, 1 month ago. I bought the 12v jig saw at the start of my current project that I am on, my intentions of buying it was to use it for small quick cuts. EX. cutting out an outlet in the back of a cabinet. After using it for some time I have found it will do so much more. The first thing I thought when I got it out of the box that it’s a little bigger than first expecting for a 12v tool. It has a decent size foot print but it’s not a bulky tool. It’s very slim actually. 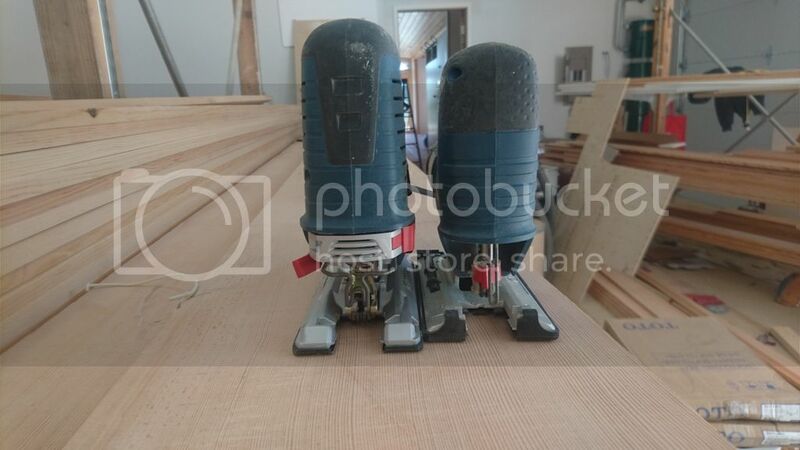 For comparison here it is side by side the top of the line js572eb corded bocsh jig saw, which I got through this website as a redemption. The saw will power through some hardwoods even ¾” oak like seen in the video. The saw really excels at material around ½” and some softer ¾” woods. Once you try and cut through thicker material than ¾” it will bog down if you try to push on it but it will cut a 2×4 if you don’t mind taking a little more time. 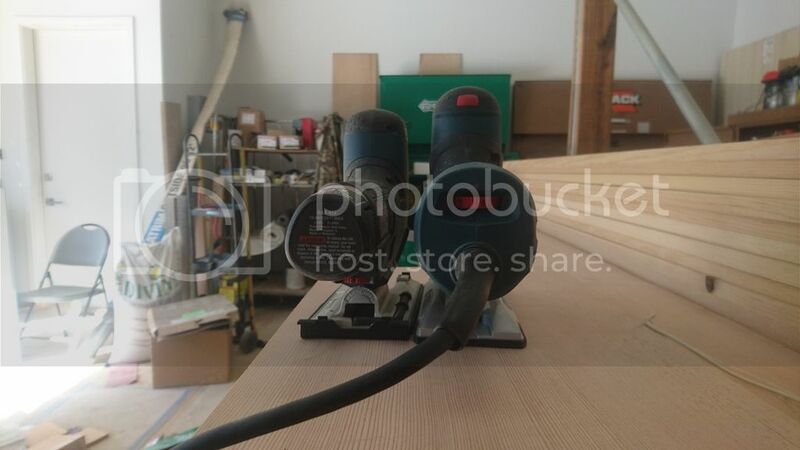 As far as the accuracy of the cut it will make a fairly square cut on ½” material and it will do good on ¾” wood if you take your time but if I was super concerned about the squareness of a cut I would probably grab my bigger corded one. The trade off of it though is being very light and in a more compact package. Being a 12v the motor housing is skinnier and feels really good in the hand. You can get a good grip on it and control the saw very easily making up a little bit for it not being as accurate as its big brother. In conclusion this is a great saw to have in addition to a larger more powerful jig saw. 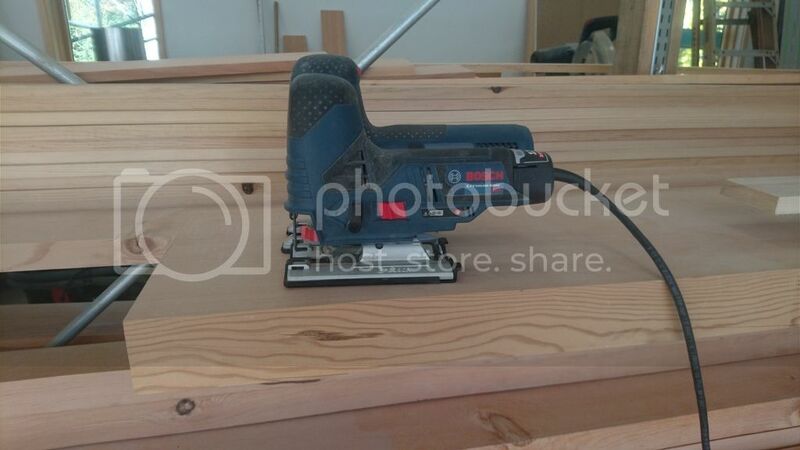 I would have a hard time using it as my only jig saw because of the variety of jobs I do but I find myself grabbing it for most of the task that require a jig saw because of how convenient it is. It will do any light duty task you ask it to and most medium duty task as well. If you are in the Bosch 12v line I highly recommend getting this little gem of a saw. 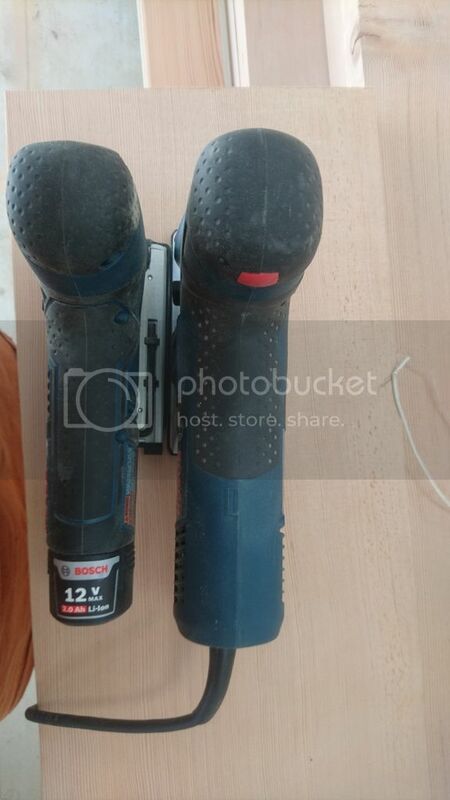 Thanks for taking the time to post up a review of the Bosch 12v Jig. After reading your content I’m really thinking about adding one to my Bosch tool arsenal. I had a form I had to do where I would need to cut out a center square and this would have done a great job! Whats the runtime on a 12v 2.0 or 4.0Ah by chance? This was a great review, thanks for sharing with us. Ah run time, I knew I forgot something. I don’t have any 4ah yet but on a 2 it will do a lot, but make sure you have at least 1 waiting it won’t last all day. I will try and do another test to see the exact run time. Nice review. It does sound like a tool most should have in there tool boxes. What’s the charge time like for the 12v batteries? All I have is the older bc430 which is a half an hour. I can’t say for the newer bc330 but I think it’s close to an hour. Excellent review, Austin, covered all the bases. I really appreciate the side by side comparison to the corded unit. thanks for the review, even though i have the js470e, i am considering the 12v one for convenience and to cope crown. I like the idea of a cordless Jiggy, This one appears to handle itself well enough. Does it come in a ‘D’ handle version too?? I did NOT get along with my 572 Barrel grip and traded it for the 572 ‘D’ grip, Much much better control and accuracy for me. This was a great review, this jiggy looks like a good tool to add to the 12volt lineup. Hi @austin cause of your posts on IG I sent in for the 12v jig saw plus this review you did sealed the deal . Awesome. That’s good to hear. Let’s hope others think the same too. Great review Austin, thanks for taking the time to put it together! The 12V saw is definitely on my list of tools to get. I have the JS572 as well so I’m looking to use the 12V in the same ways that you do. 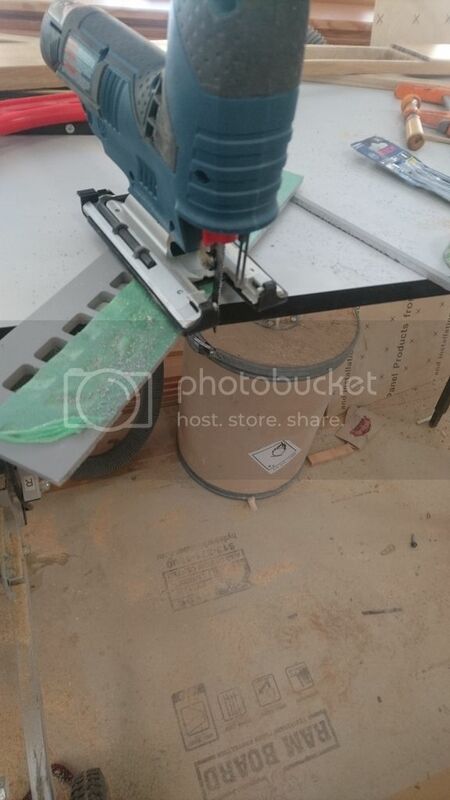 I too have the 12v jig saw. While I really like the ergonomics, it is lacking in power for many tasks. Given that it is only a 12v tool, I can deal with that issue though. I really appreciate it when coping with the Collins foot! That’s something I hadn’t thought of, using the coping foot with this saw. I had mostly thought of using it up on the scaffold when installing smart side. Austin Thank you for the fine review. I really like my 12V jig saw as well. Yes not the most powerful tool but the decrease in power at least for me makes it easier to control that and the small size. I have found I ma more accurate with the JS120BN than with any other jiggy in the shop. That is exactly the reason why I want it, but i am going to wait till black friday to see if there are any sales before i go and pick it up.